This contents of these next few pages are probably what most readers are interested in, for this where we will explore improvising from music as it appears in a hymnal. 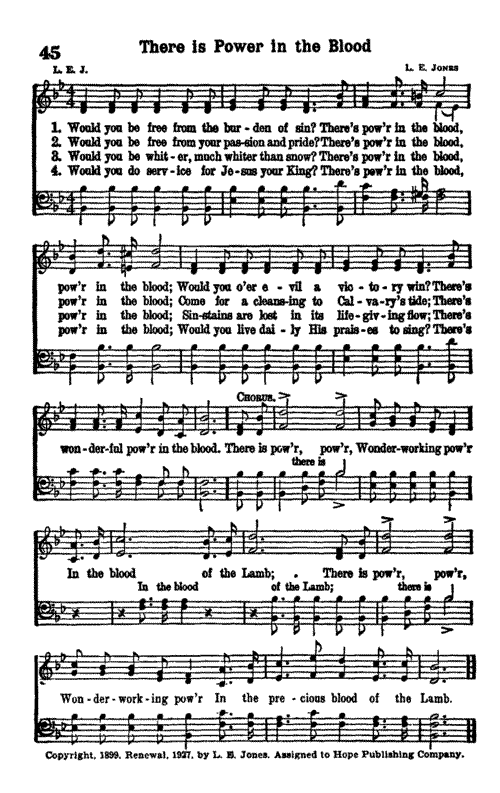 The song we will be using is the well-known song There Is Power In The Blood. Below is the song as it would appear in the hymnal. If you want to print this out and take it to the piano, then (1.) Click on the music to open it in a new window, and, (2.) Print the contents of the new window (select File, Print, etc. ).